EXEL North America has been successful working with customers whom specialize in manufacturing Mobile Drilling Rigs within the Energy market. 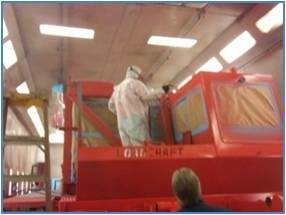 EXEL North America, in partnership with their local Solution and Service Center, EAH Austin Inc. located in Texas, worked with Loadcraft to replace their Binks and Graco spray finishing equipment. EXEL North America was able to develop a solution using our innovative 2K Cyclomix™ Expert System with Gun Flush boxes, and Dual controls to finish (spray paint) their mobile oil drilling rigs. With the help of EAH Austin Inc., EXEL North America was able to provide Loadcraft with a 30%+ material cost savings of their material consumption. Previously, they lost $100,000.00 in wasted mixed materials due to their manual mixing process. VOCs were reduced, the quality of the finish was improved due to atomization used by Airmix technology for the primer and topcoat, and Loadcraft increased their production by reducing cycle time to create additional thru parts. 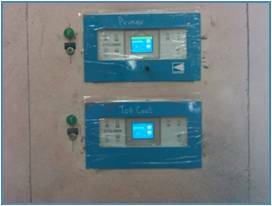 The Sales advantages for the customer were that EXEL North America and EAH were able to supply a system that can manage (2) spray booths with one Cyclomix™ Expert for the Primer and one for the Top Coat (Dual booth controls). We were also able to include the Dual Gun Management system as each booth has (2) guns per material ((2) for Primer and (2) for Top Coat). These features weren’t offered by our competitors. For more information or questions, please email us at exelnasolutions@exel-na.com or email the Solution & Service center, EAH Austin Inc. at: mike@eahequpment.com. EXEL North America is pleased to announce the release of the PU3000® Innovative 2K Pumping System. 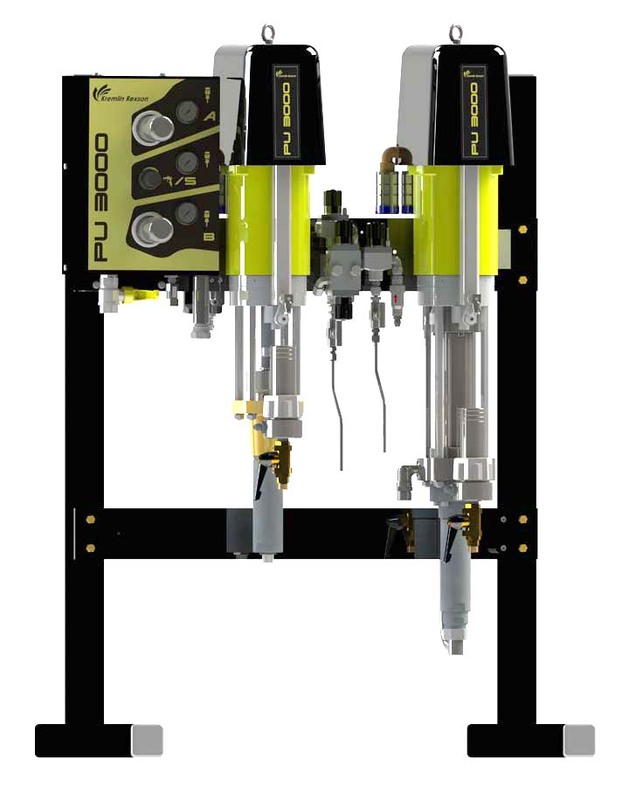 The PU3000® is a Cost Effective, Electro-Pneumatic System that uses “Free Pulse Technology – FPE” which is suitable for a wide range of applications. It is Easy to Operate and Easy to Install. The PU3000® is a flexible 2K System that can be used in the following markets: Wood, Metal and Plastics markets. Give us a call today at 1-800-573-5554 to learn more about this great new 2K Pumping system. Kremlin has sold more than one thousand 2K and 3K Electronic Meter Mixing systems in the past 5 years. 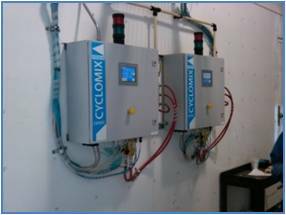 We are now offering a new 2K & 3K Electronic Meter Mixing Solution – the CYCLOMIX™ EXPERT. Our sales and technical EXPERTise were used to create this user-friendly solution for our customers. The Cyclomix™ Expert is an innovative, industrial solution that is configured to meet the needs of the customer. This new innovative product can be upgraded over time while still delivering excellent product quality. The Cyclomix™ Expert is available in Airspray (HTI, HPA, HTV), Airmix®, and Airless (up to 200 bar) configurations to meet the needs of our customers. To learn more about this great new product, give us a call today at 1-800-573-5554!